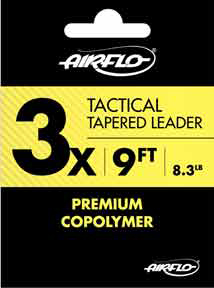 The range of Airflo Polyleaders cover the full spectrum of trout fishing situations—floating to ultra-fast sinking. Smoothly tapered to give easy turn over of dries, nymphs, and streamers, these leaders open up many new techniques not only with a floating line but with sinking lines, as well. 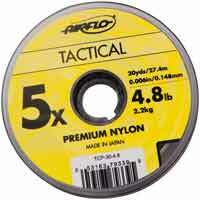 Just loop a 2-4’ tippet onto the front loop of the Polyleader, or use a Climax Tippet Ring (Highly recommended! See below) to secure the connection, and get ready to enjoy a better way of doing things. The floating Poly leaders are available in 5’ and 10’ lengths, the 5’ length being most popular for packet-water and general Trout fishing, the 10’ being utilized for those “delicate moments” on still waters where the fishing requires giving the fish a lot less to notice. The sinking Poly leaders are available in 5 and 10’ lengths, and in two densities—fast (3.9 in/sec) & ex. 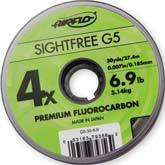 Super fast (6.1 in/sec)—thanks to their Tungsten coatings. Recommended for 5-7 wgt. lines. Maximum tippet: 12lbs. 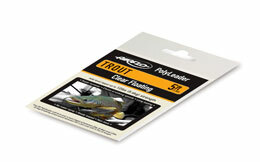 Light Trout Polyleaders are designed with greater suppleness and shock absorption for use with light lines—2-4wgt—the floating versions ensuring the most delicate of presentations to spooky fish in lakes and spring creeks, while the sinking versions allow nymphs to be fished at depth without adding weight to the fly or to the tippet. 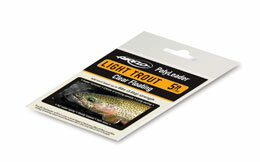 As with the Trout Polyleaders (see above), the Light Trout Polyleaders have loops at both ends, and a 2-4’ tippet can be looped onto the front loop of the Polyleader, or a Climax Tippet Ring (See below) can be attached for a secure, trouble-free connection. Available in floating lengths of 5’, and 8’ (very stealthy) , with fast sinking (3.9 in/sec) and ex.super fast sinking (6.1 in/sec) versions available in 5’ lengths. Recommended for 2-4 wgt. lines. Maximum tippet: 8 lbs. Simply slide your fly-line into the center of the braided loop connector, and secure with a small shrink-tube sleeve—that’s it. 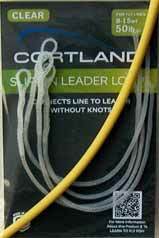 Great for connectiing backing and leaders to fly lines. 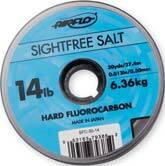 Available in a neutral density for 2-7 weight lines (30 lb. strength), and for 8-12 weight lines (50 lb. strength). Color: clear / yellow sleeve. Packed 4 to a pkg. 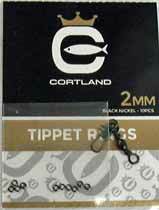 Cortland Tippet Rings - 2mm. Connecting the tippet and leaders through the ring will allow you to change the tippet as often as you wish without shortening the leader. No longer will you need to replace leaders when switching from large streamers to a # 16 dry-fly, just cut off the 2X, tie on some 5X with an Improved Clinch Knot, attach fly, and go fish. Tippet rings are incredibly strong and very light. 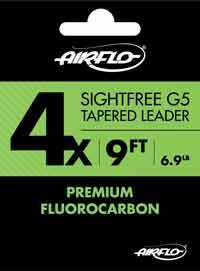 When attached to your leader, they’ll float, or they’ll follow the leader down if your’re using a sinking leader or a fluorocarbon tippet. 10 rings per pkg. Size: 2-mm. $7.95.